The minimalist oval and rounded shape minibus allow the children imagination to take place. The minibus is loaded with four small figures to play both in the house and outdoors without hazard. 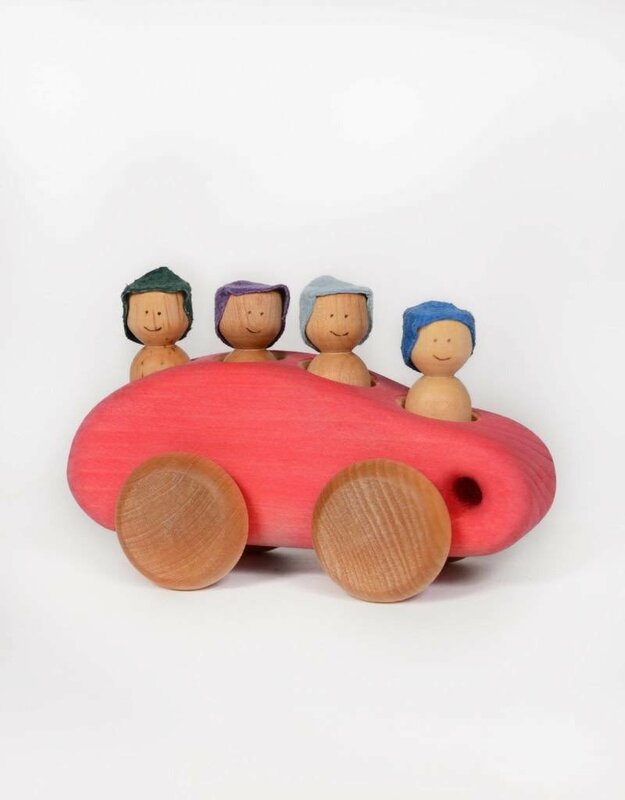 The minibus’ body is made of pine wood for the body and maple wood is used for the wheels and the small figure with its suede hat. 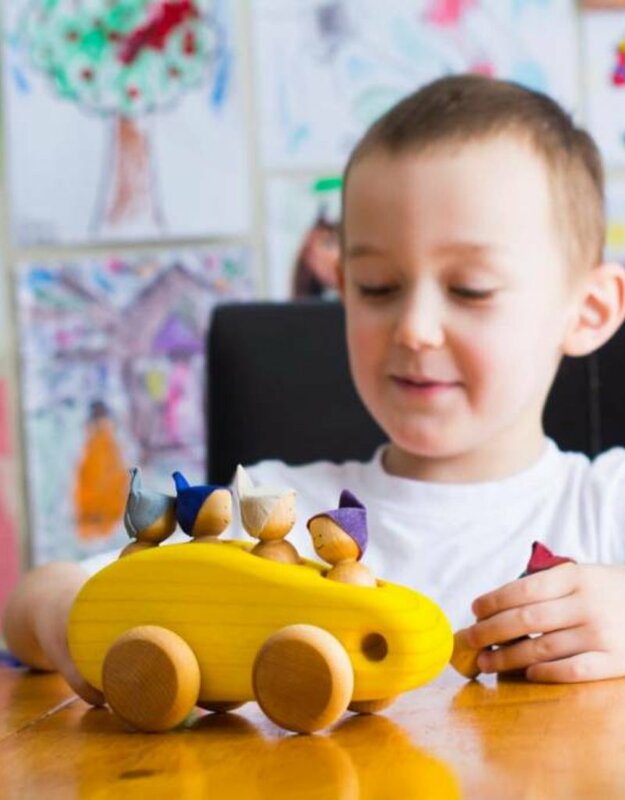 The minibus body is made of pine wood and maple wood is used for the wheels and the small figure with its suede hat. **CAUTION** This item is not intended for children under 3 years old, they are small piece.